GoldTach is a mini-sized and free personal firewall which can effectively protect you against hackers' intrusion. GoldTach workes in three ways: TCP/IP packets Filtration, Process Commnication Control, and E-mail Protection by intercept and modify the extension of the mail attachment. GoldTach defines three security control levels: Normal, Strict, Custom . Beginners can get the essential security by the default settings, and experts can customize the net policies for their needed. When GoldTach worked in " Lock internet" mode, all the processes can not access the internet but those you permited. You can cut off all the internet connects immediately when emergency occurred . Process management tool let you know the details for processes, such as parent process ID, open handles, owned thread, created time etc. It is a good way to find and prevent Troy. GoldTach supports three types of detailed log: operation log , blocked IP packet log , and applicatlion log. GoldTach provides two panels: Nice Panel & Advance Panel for your easy control of the network. You can know current network status thru system tray icon. GoldTach's installation packet sizes is only 1.12MB. 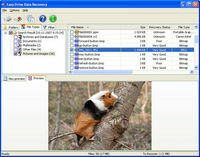 This free software is the basic version for GoldTach Pro (not free).